The Competition and Consumer Protection Act 2010 (the Act) which is the new name for the Trade Practices Act 1974 (the TPA) has introduced some significant changes to the provisions contained in the TPA. The Australian Consumer Law (ACL) as set out in Schedule 2 of the Act contains the revised legal framework for Consumers purchasing goods and/or services in the course of business, up to a value of $40,000. There are limited exceptions to the $40,000 cap. The Act and other legislation (such as the National Consumer Credit Protection Act 2009) have introduced additional changes to the rights and obligations of Consumers and to those businesses trading with Consumers within Australia. This article does not intend to act as a comprehensive review of all changes but rather a high-level review of the revised Consumer guarantees under the ACL. The Consumer guarantees provided by the ACL largely replicate the pre-existing implied rights and warranties, however there are a few differences. What is meant by reference to a Consumer? • the goods consisted of a vehicle or trailer acquired for use principally in the transport of goods on public roads. • the goods were of a kind ordinarily acquired for personal, domestic or household use or consumption. Under the ACL, Consumers of goods and services are afforded statutory guarantees regardless of whether they are supplied by a corporate entity or an unincorporated entity. There are however a few exceptions such as sale by auction. Prior to the introduction of the ACL, Consumer products were required to be of ‘merchantable quality’. Under the ACL the new standard is ‘acceptable quality’. As outlined above, the guarantee relating to ‘acceptable quality’ relates to a statutory guarantee to the Consumer that the goods are fit for all the purposes which goods of that kind are commonly supplied, acceptable in appearance and finish, free from defects, safe and durable. The main difference in moving from ‘merchantable quality’ to ‘acceptable quality’ is that there is a significantly high standard when considering the fitness for purpose. Merchantable quality only required that the goods had to be of use for any purpose which the particular type of goods would ordinarily be used where acceptable quality requires that the goods are fit for all the purposes which goods of that kind are commonly supplied. Acceptable quality has also introduced a higher standard in relation to defects in that products which have a minor flaw such as a scratch or a dent, may have been considered to be of ‘merchantable quality’ but may not be considered to be of ‘acceptable quality’. One of the major changes introduced as a result of the Act is that there is now a uniform approach to Consumer rights throughout Australia. Customers and Businesses undertaking trade and commerce in Australia, can now do so on the basis that their rights and obligations will be the same regardless of their geographical location. 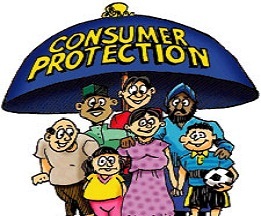 The Act has introduced new statutory remedies for Consumers which empower the Consumer with rights where the supplier of goods and/or services fails to meet the statutory guarantees. Where the supplier of a good and/or service fails to comply with the statutory guarantees, the Consumer may request the supplier to remedy the good and/or service within a reasonable time. If the supplier fails or refuses to do so, the Consumer may be entitled to have the problem remedied by other means and recover all reasonable costs in doing so from the supplier, or alternatively in the case of goods, the Consumer may inform the supplier that it rejects the goods specifying the reasons for the rejection, and in the case of services, the Consumer may terminate the contract for the supply of services. Where a fault with a good cannot be remedied, the Consumer may reject the goods, or alternatively by way of action against the supplier, seek compensation for any reduction in value of the goods, below the price paid. The Consumer may also be entitled to recover damages for any reasonably foreseeable loss or damage suffered as a result of the failure. Where a fault with a supply of services cannot be remedied, the Consumer may terminate the contract for the supply of services, or alternatively by way of action against the supplier, seek compensation for any reduction in value of the services, below the price paid. The Consumer may also be entitled to recover damages for any reasonably foreseeable loss or damage suffered as a result of the failure. The statutory Consumer Guarantees cannot be excluded by contract and any attempt to do so shall be void to the extent that contractual term purports to exclude, restrict or modify the application of the statutory guarantees.